You want to execute you test scripts on multiple browsers, and you do not have enough resources? Don’t worry we have it all for you! 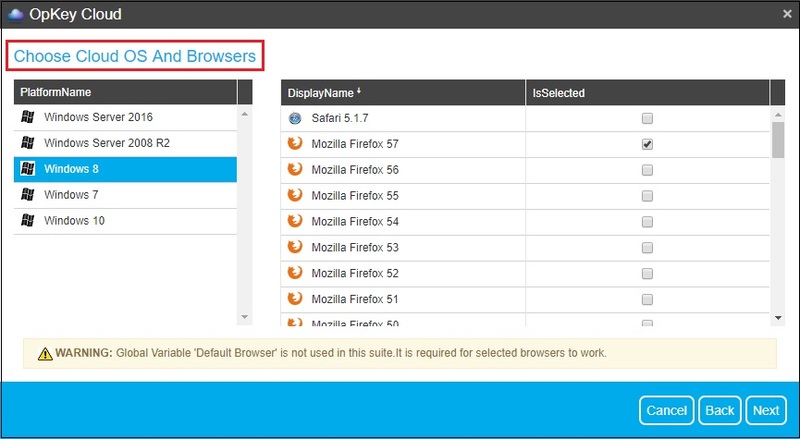 OpKey allows you to execute your Test Suite on multiple OS & browser combinations. Create a Suite and add all required Test Case(s)/Gherkin Files to the Suite and execute your suite on various OS & browser combinations. 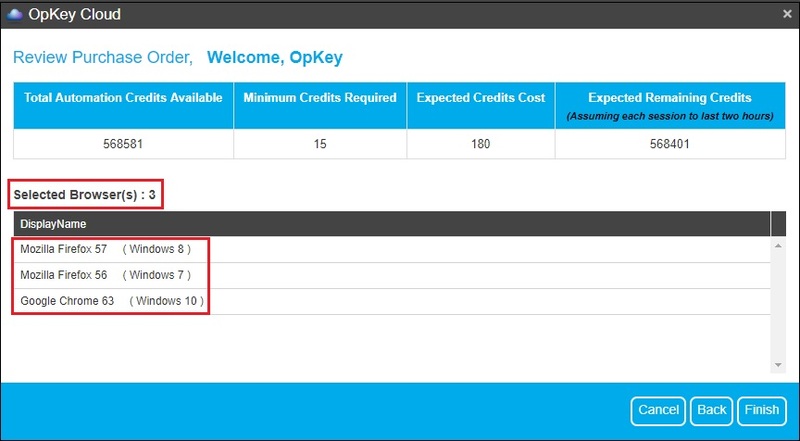 Let us see how to execute a Suite on OpKey Cloud. 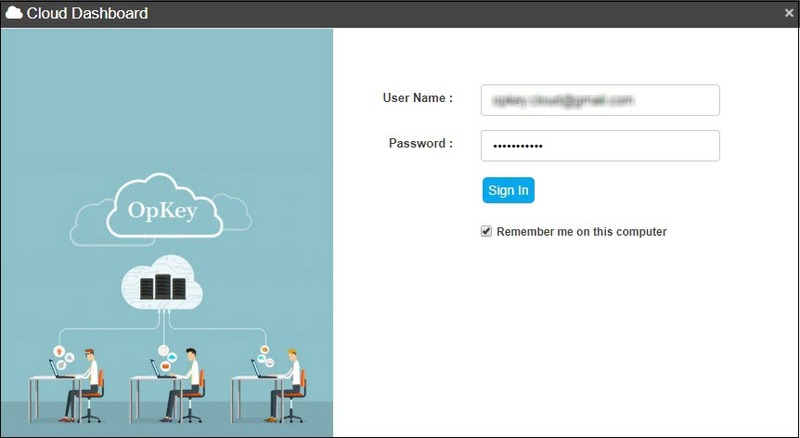 When you click on ‘Run on Cloud’, a login window for OpKey Cloud opens. Enter your login credentials and click on Sign in. 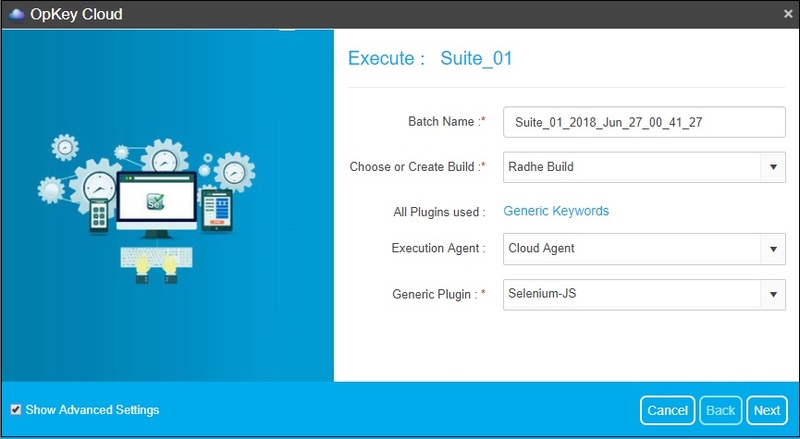 On Execution Wizard window, enter Batch Name, Choose or Create Build Name, select Execution Agent and choose Generic Plugin. 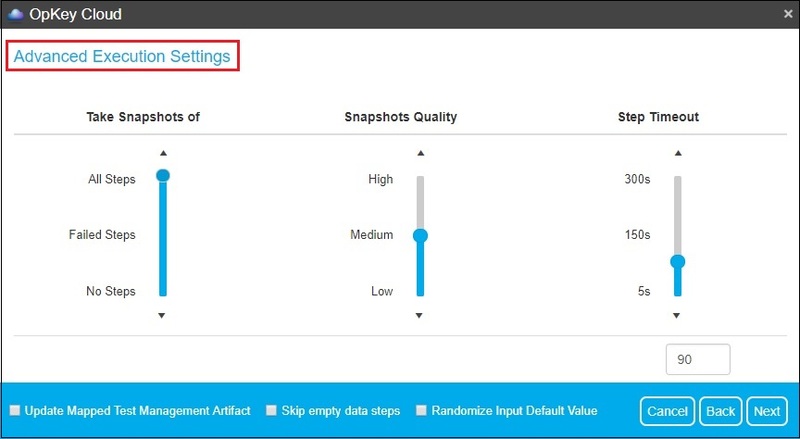 You can check ‘Show Advanced Settings’ for advanced features regarding configuration of Snapshot of steps (along with quality and step timeout), session tags and global variables. Click on Next to proceed. From Advanced Execution Settings page, you can apply various settings, as showing here. Update Mapped Test Management Artifact allows you to update the mapped Test artifact on completion of test execution. You can check Remember Settings checkbox to remember your configured Advanced Execution Settings. Checking Skip Empty Data Steps allows you to skip test steps on leaving mandatory data input arguments blank. From here, you can add Session Tags through which you can easily and quickly identify the execution session. If you want to add Global Variable to your Test execution, you can add from here. Execution process has started. Here, you can view that 3 sessions are created as we have chosen combination of 3 cloud OS & Browsers. Execution of first session is starting. OpKey facilitates you to view live execution screencast. To do so, click on Show Screencast button. A new window of screencast showing running test execution on the system opens. Here, you can view that execution has passed successfully. Once, first session has executed successfully, next execution session will be initiated and so on. 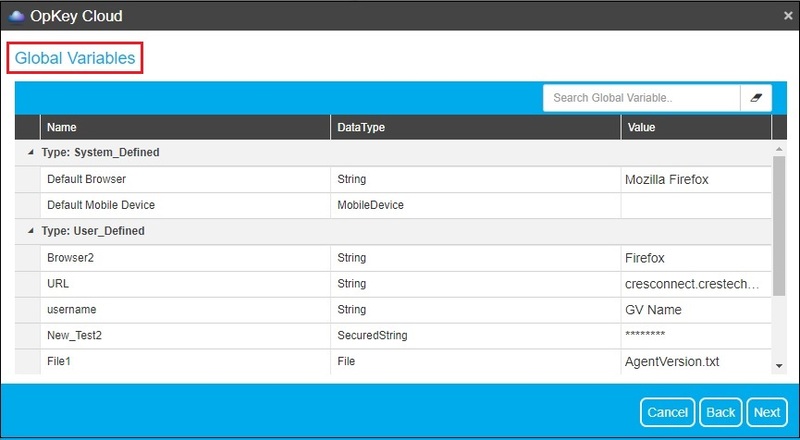 Navigate to those sessions and view execution logs, live test execution and test execution result.